Item # 311440 Stash Points: 5,995 (?) This is the number of points you get in The Zumiez Stash for purchasing this item. Stash points are redeemable for exclusive rewards only available to Zumiez Stash members. To redeem your points check out the rewards catalog on thestash.zumiez.com. 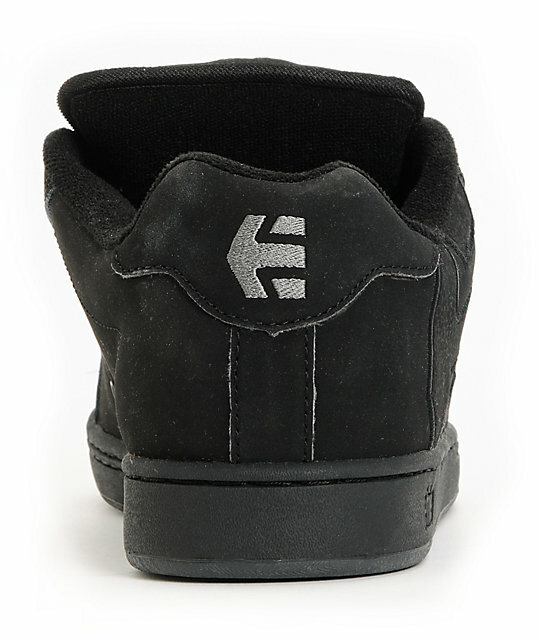 The Fader from Etnies in the black colorway with hints of grey throughout is a fully-functional skateboarding shoe that encapsulates the feet in durable protection while their owners are subjecting them to a harsh beating via the skateboard or throughout the daily adventure. 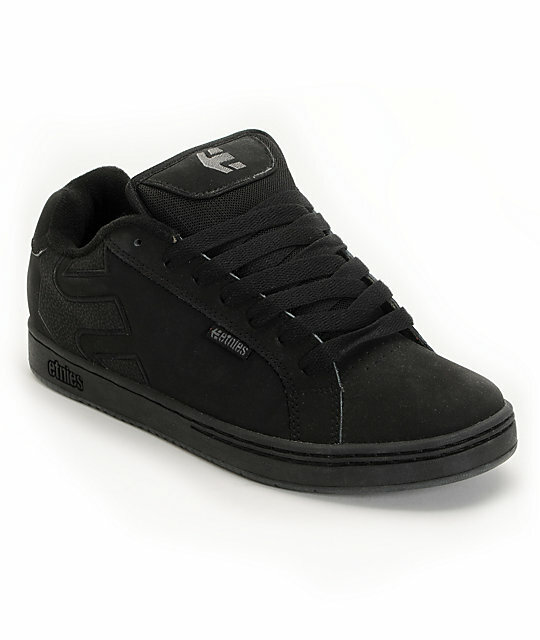 Fader Black & Grey Skate Shoes from Etnies. Triple stitching in skate sensitive area. 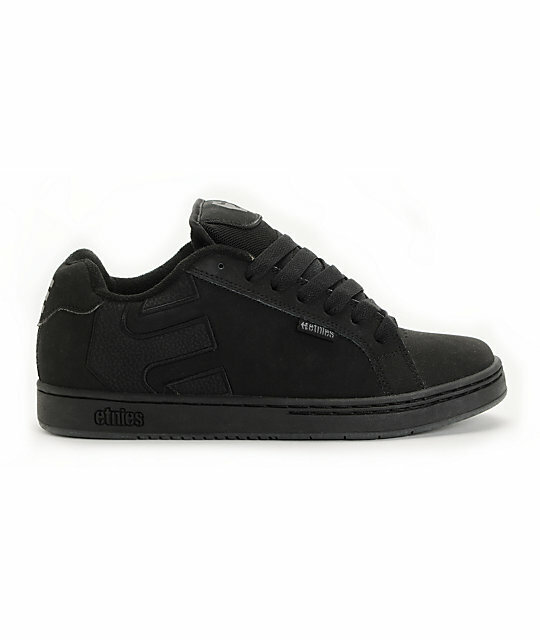 Metal eyelets for added breathability on inner sidewall. 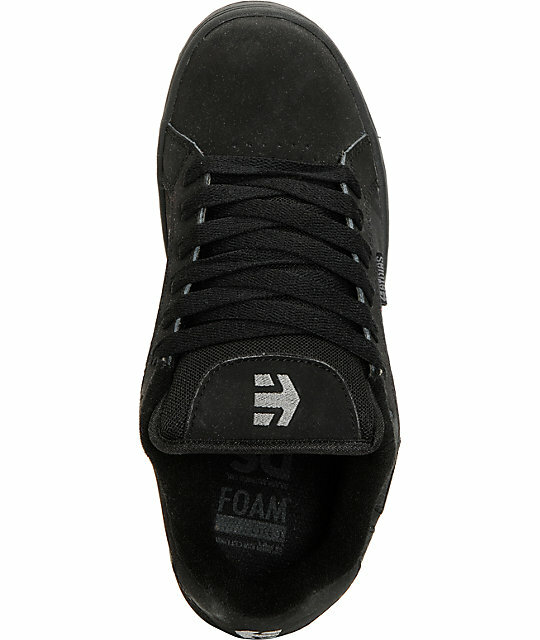 Etnies embroidery appliqued detailing on sidewall for added brand style! 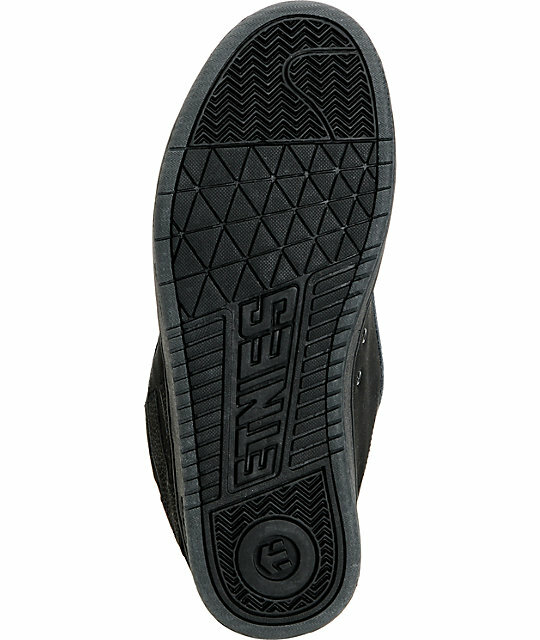 Etnies embroidery on rear heel and tongue.